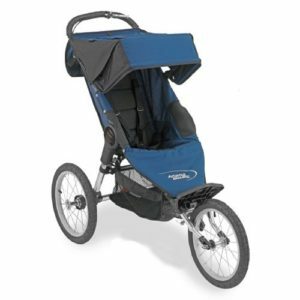 Rent A Jogging Stroller On Isle of Palms | IOP Beach Chair Co.
07 Dec Rent A Jogging Stroller On Isle of Palms | IOP Beach Chair Co.
Running in various terrains is one of the most effective ways to increase strength, endurance, and enjoyment of running. Running in sand helps build strength in the Achilles and calves. The beaches on Isle of Palms are long, smooth, and hard-packed, providing excellent surfaces for runners. Whether you’re a casual jogger or training for a marathon, Isle Of Palms is the perfect runner’s destination. Parenting doesn’t mean giving up all the activities you enjoy. In fact, children whose parents engage in vigorous exercise are more likely to pick up good health habits themselves. What better way to spend time with your little one than letting them accompany you on your run? Average jogging strollers made for use on pavement have small plastic wheels that sink into the sand, making it impossible to use them to run on the beach. For your IOP visit, you’ll want to rent our special beach jogging stroller. With wider, larger wheels, our strollers provide a smooth ride for the passenger and little resistance for the runner, giving both parent and child a pleasant experience during your run on the beach. Which part of the Beach to Run On? Depending upon the workout desired, you may want to run closer to the water, on wet, hard packed sand, or further up the beach on softer sand. Soft sand offers a greater workout and more resistance, while harder packed sand offers a a nice level surface, ideal for pushing a jogging stroller. Whether you’re jogging, walking, or running, a jogging stroller allows your child to enjoy the ride. If you’re used to running on pavement or hard surfaces, particularly if you’re going to try running barefoot when you’re used to wearing shoes, you’ll want to ease into your first beach running experiences. The workout running on sand offers is deceptively challenging. Running barefoot uses different muscles and puts pressure on areas of the feet that are normally supported by running shoes. Whether you run barefoot or with shoes, through softer sand or on hard-packed sand, beach running is a great way to spend time with your little one during your IOP visit. Contact IOP Beach Rentals for all your equipment needs.